August 24, 2015 – At the 1952 Winter Olympics the Swedish ice-hockey team beat the team from what was then West Germany 7 – 3. The defeat did not go unnoticed by Walter Ulbricht, the East German Communist leader who later became head of state. To celebrate, the gloating Ulbricht is said to have renamed his favorite dessert “Schwedeneisbecher” (Swedish Ice-Cream Sundae). 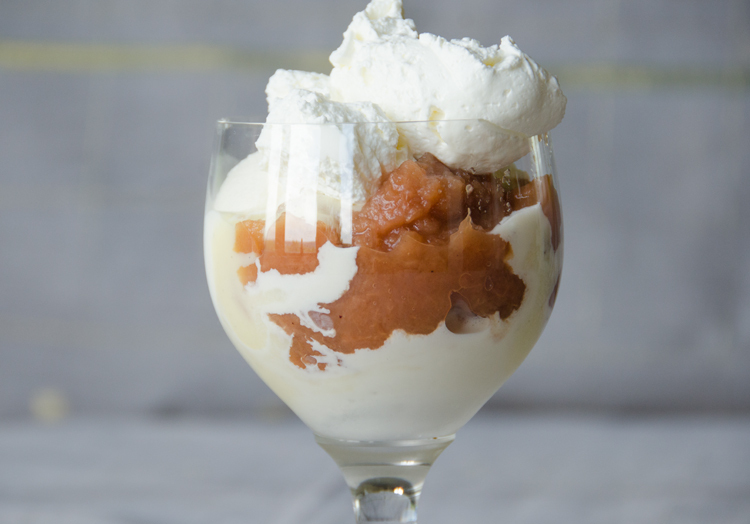 The sundae consists of vanilla ice-cream topped with applesauce, Advocaat (Eierlilkör) and whipped cream. It is still being served at restaurants in the area of former East Germany today. I made it for dessert last night and the vote was unanimous. 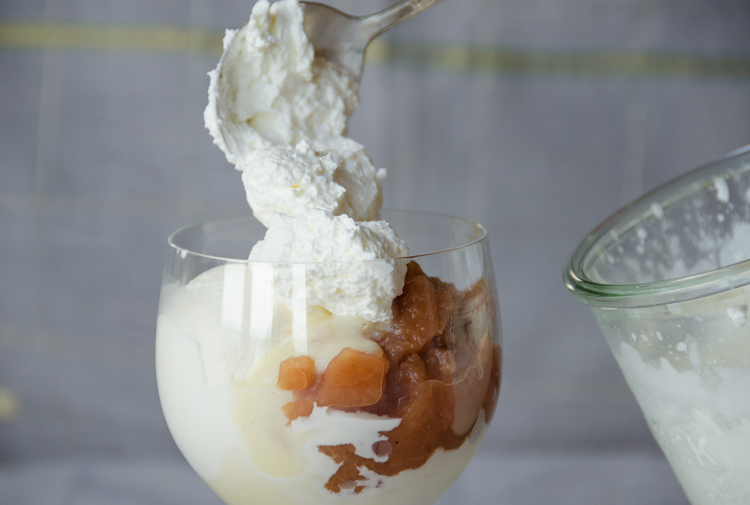 25 years after German reunification the sundae still tastes fabulous! 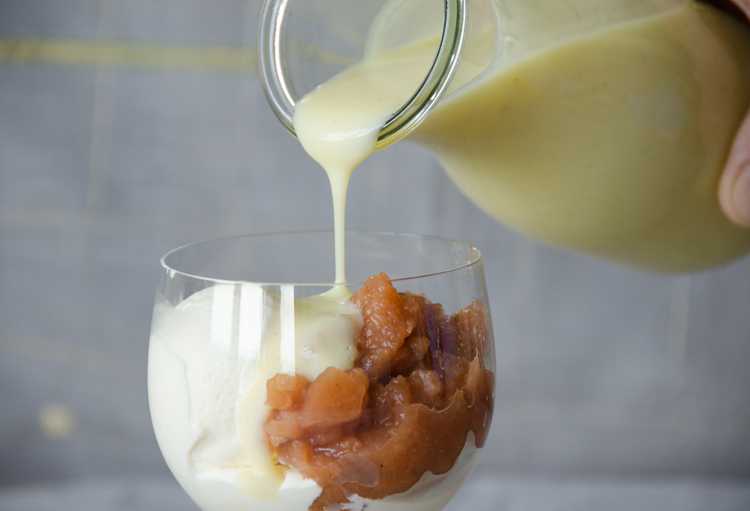 You can find my recipe for homemade Advocaat (Eierlilkör) here. 1. 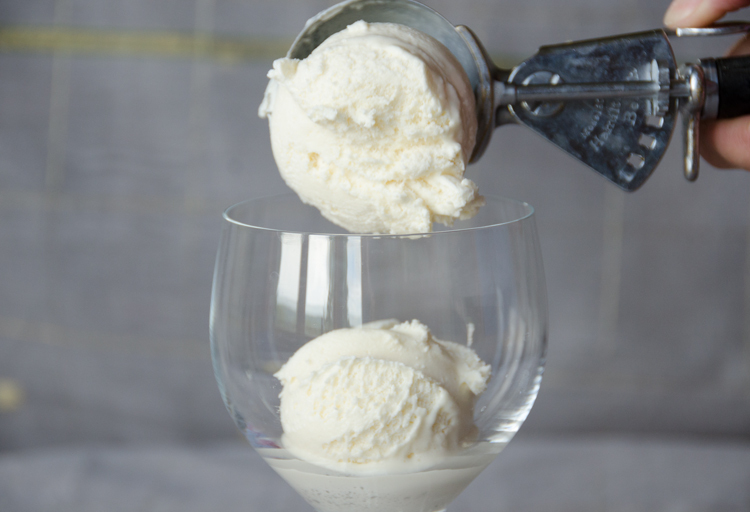 Scoops of vanilla ice-cream. 2. 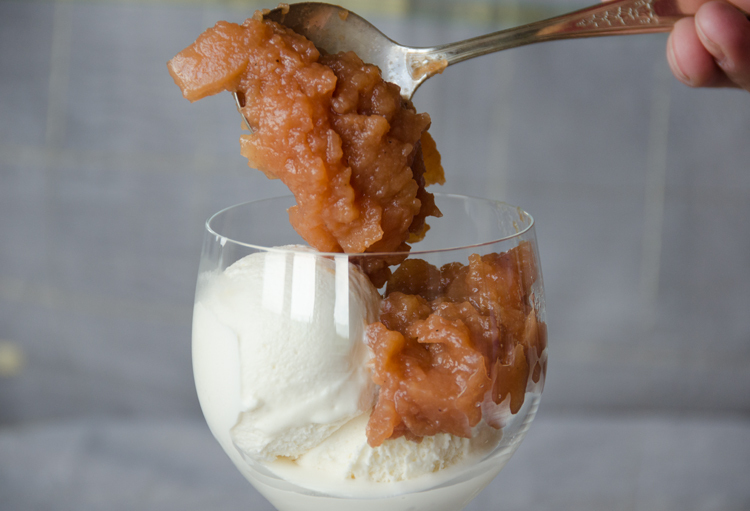 Chunky applesauce (preferably homemade). 3. Chilled Advocaat (find the recipe here). 4. Whipped cream (since everything else is already quite sweet, I did not add sugar to the whipped cream).